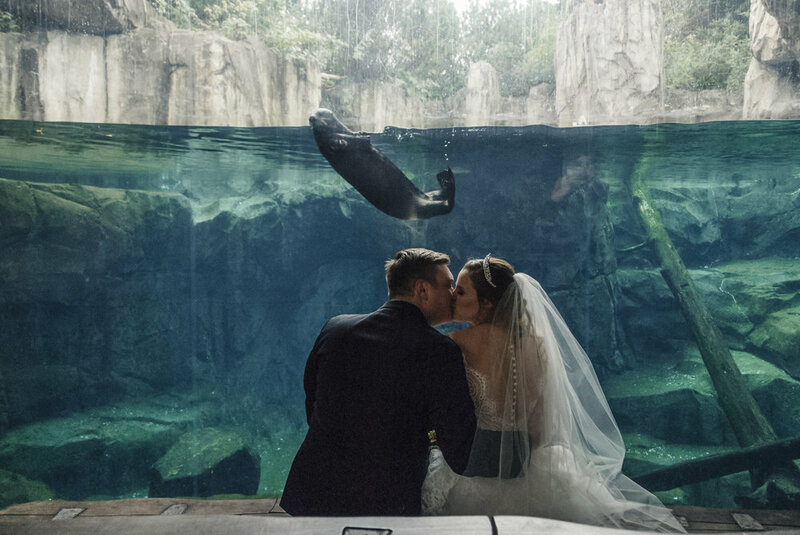 Lions & Tigers & Bears (and a bride & a groom) - OH MY! 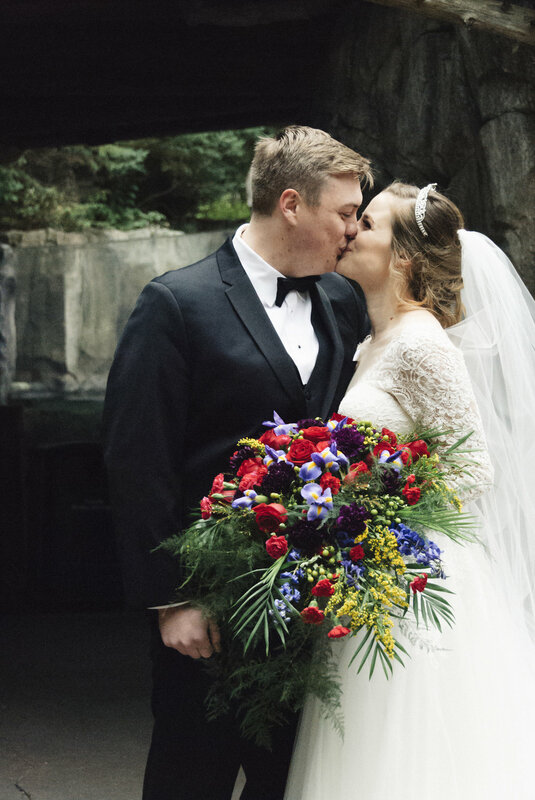 Last week I got to enjoy the very unique experience of shooting a wedding at the MN Zoo. 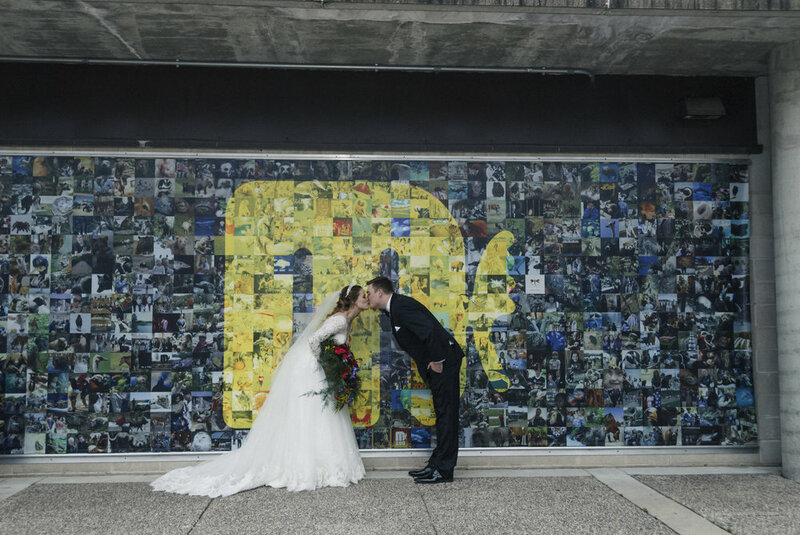 I can’t remember the last time I went to the MN Zoo …. it must have been a decade ago! 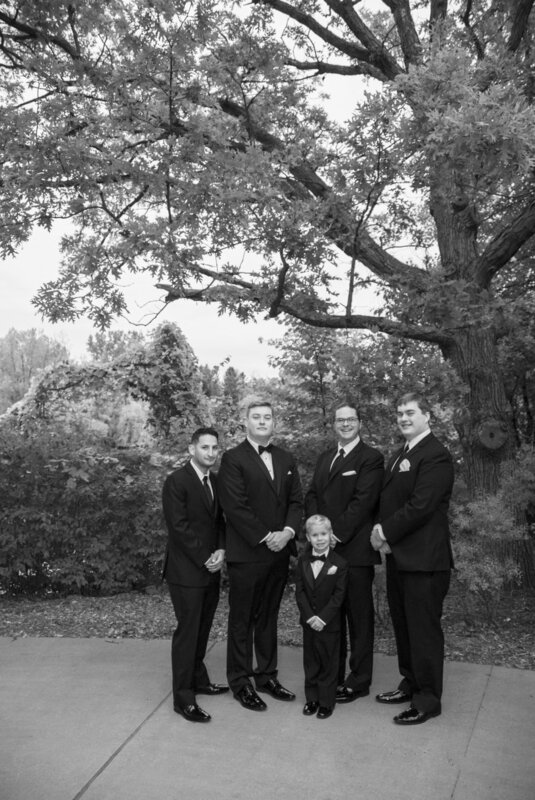 We had a chilly, grey, Fall day for Melissa & Tom’s wedding. 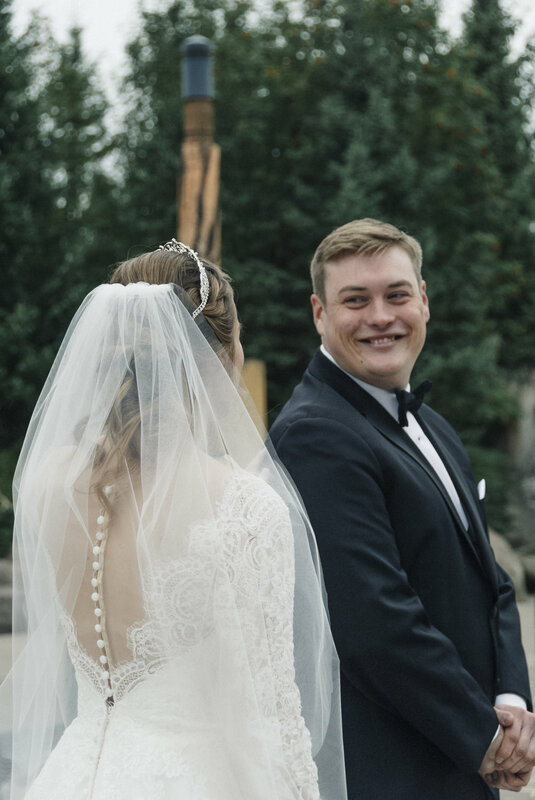 We did their first look in the main square of the zoo by the fountains; Tom’s expression when he saw his bride for the first time made my heart melt! 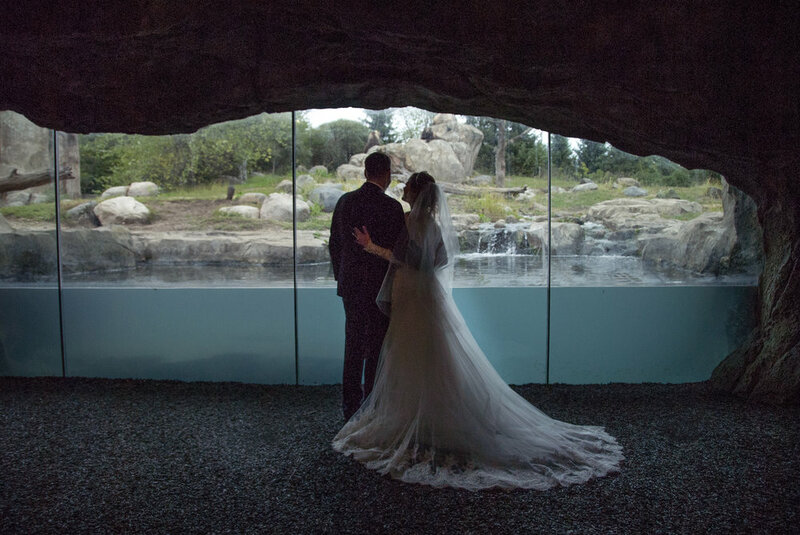 We spent some time before their ceremony walking around the zoo, taking photos with the animals. Since it was so chilly we basically had the zoo to ourselves! 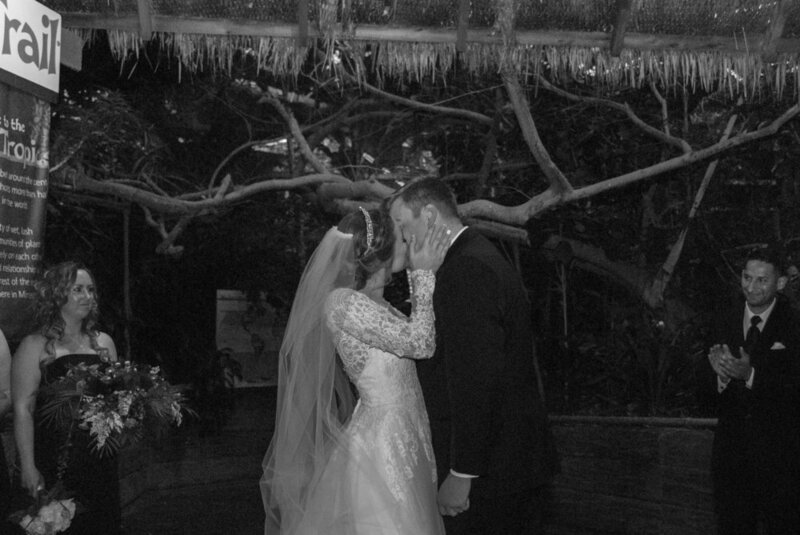 Their ceremony was at the Tropics Trail/Call of the Wild; the sounds of lemurs echoed through the venue as the couple exchanged their vows! 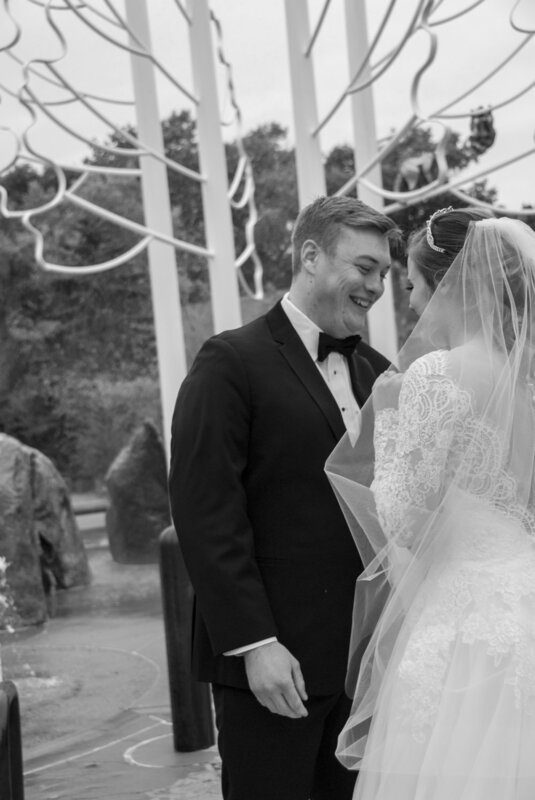 Their reception was held in the stunning Discovery Bay, where the blue aquariums full of fish and sharks created a luminous quality to the gorgeous pink, white and gold theme of the place settings. Take me out to the ballgame.... at Phylicia & Frank's wedding! 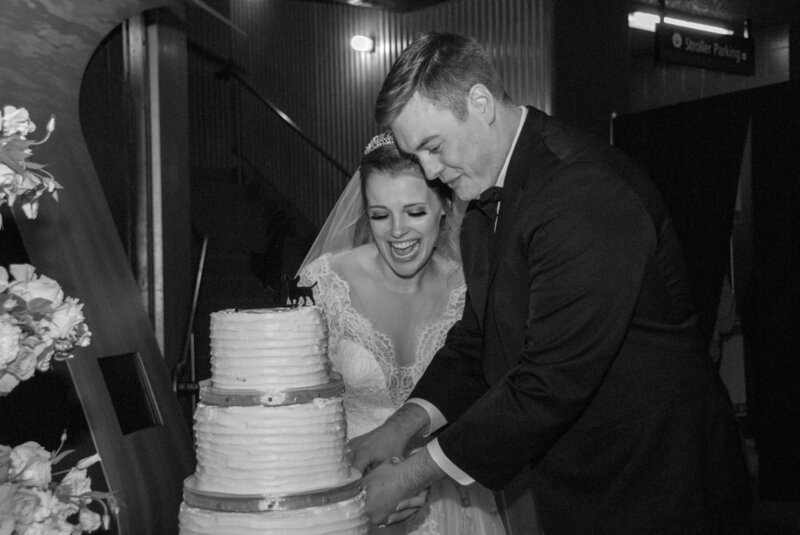 Announcing Mr. & Mrs. Petska!